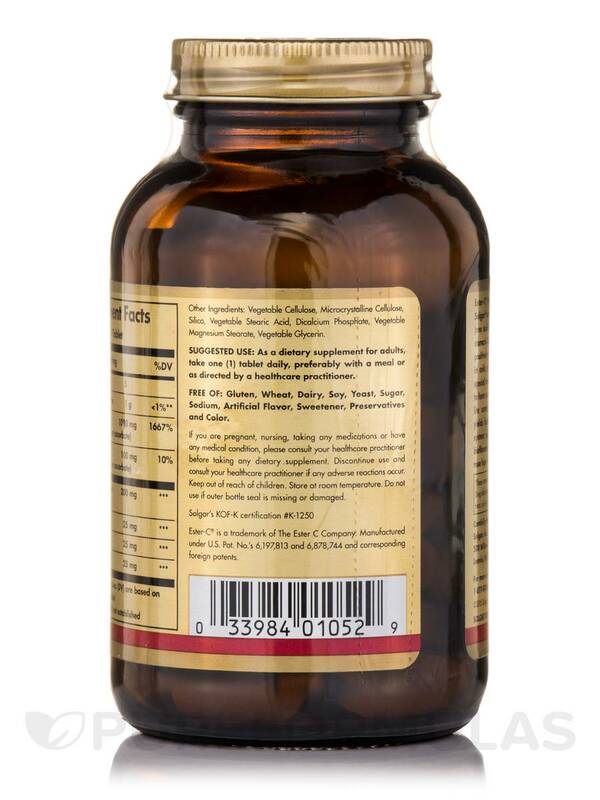 Other Ingredients: Vegetable cellulose‚ microcrystalline cellulose‚ silica‚ vegetable stearic acid‚ dicalcium phosphate‚ vegetable magnesium stearate‚ vegetable glycerin. 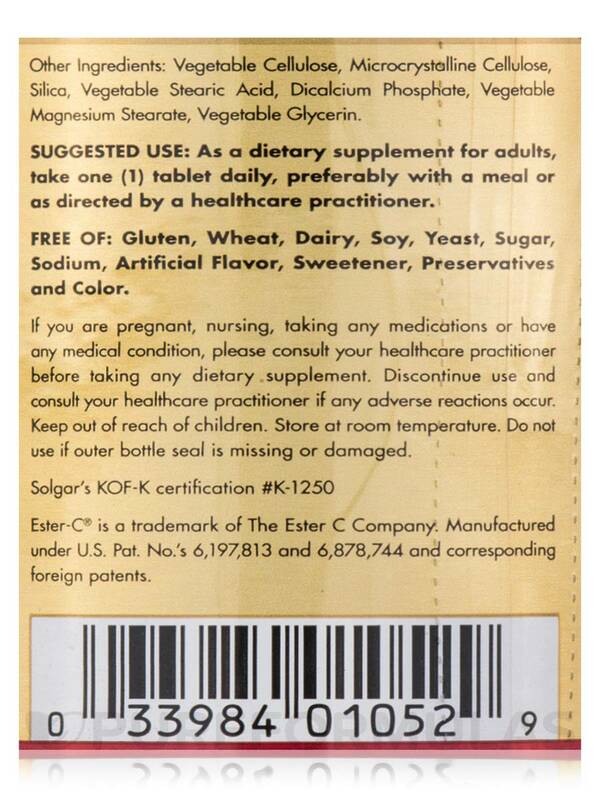 Kosher / Suitable for Vegans / Vegetarian. 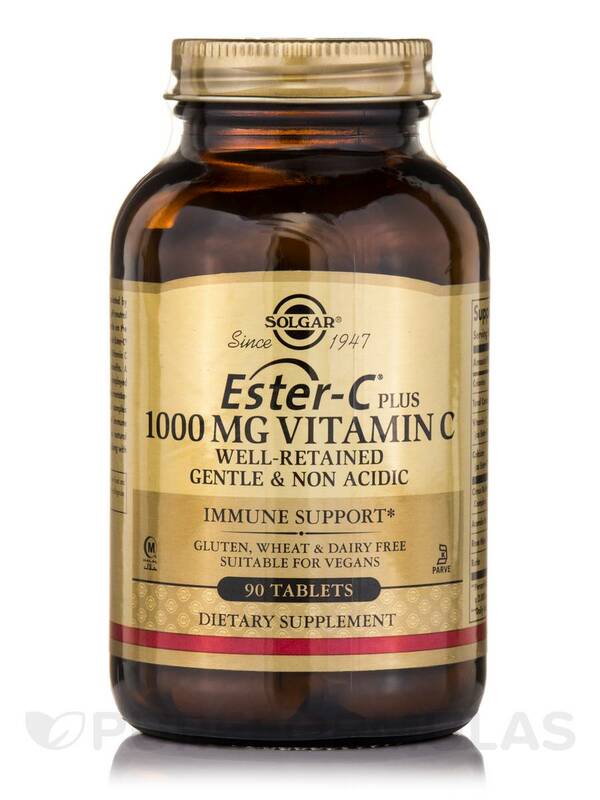 I love Ester C Plus Vitamin C 1000 mg by Solgar Vitamin and Herb, and take some every day to keep my immune system strong. 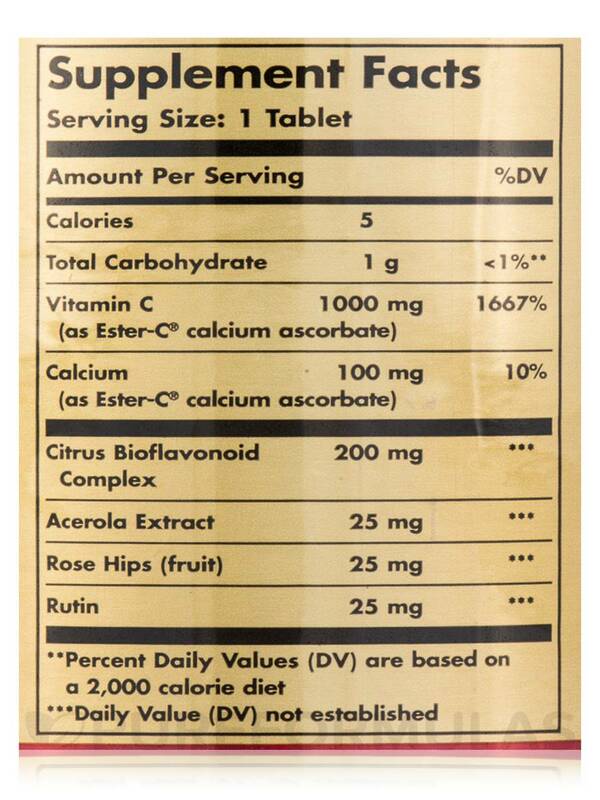 After reading how much more effectively the body utilizes esterified vitamin C, I decided to switch. 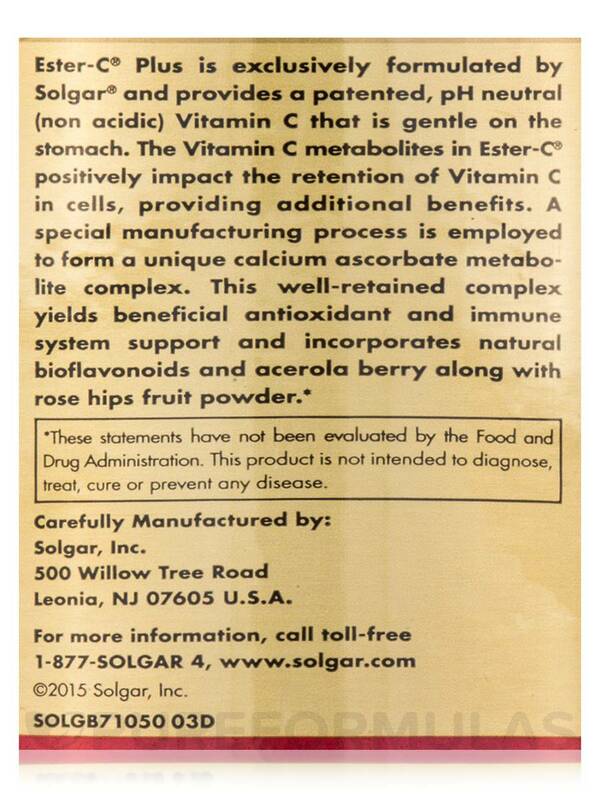 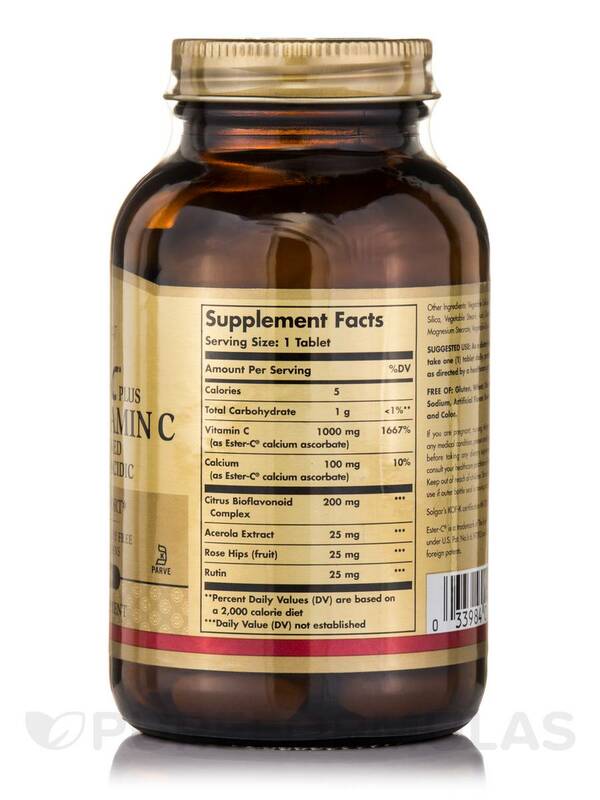 I chose the Ester C Plus Vitamin C by Solgar Vitamin and Herb product because it is not in a gelatin capsule, is yeast-free and is generally hypoallergenic with no extraneous ingredients. 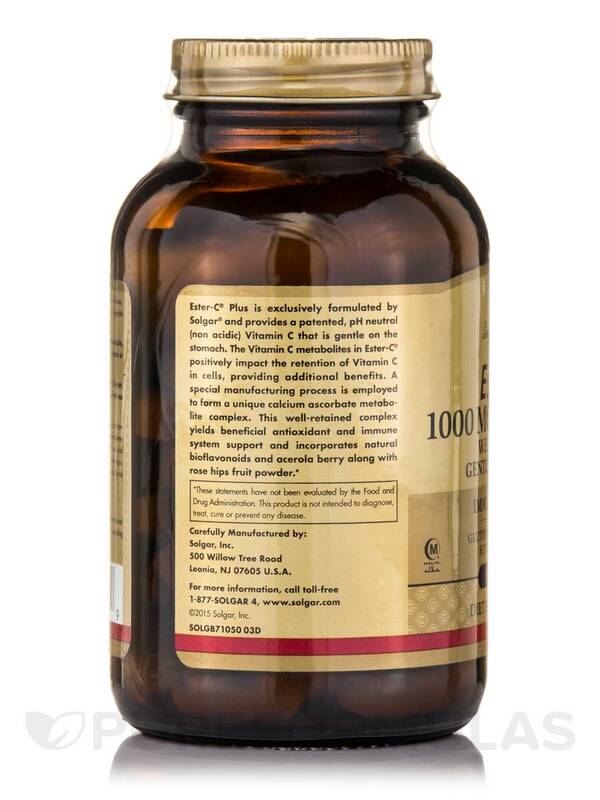 A better form of vitamin C Hypoallergenic.